XP924 entered service as an FAW.2 in 1964. The Sea Vixen served on board HMS Eagle with No 899 Squadron. 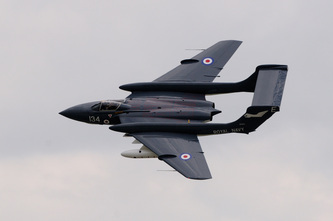 After the aircraft's service with 899 was over, the Sea Vixen was sent to the Royal Aircraft Establishment Llanbedr in North Wales. XP924's role here was to be one of acting as a high speed radar target. 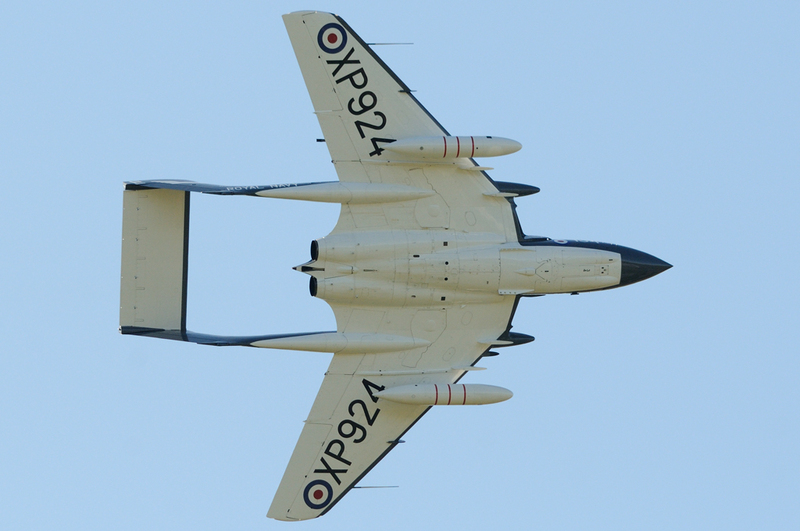 Following this XP924 was converted to D.3 configuration by Flight Refuelling after which she returned to Llanbedr. The aircraft remained in service here from 1986 to 1991 and was then retired. XP924 moved to Bournemouth International Airport in 2000. de Havilland Aviation Ltd were successful in getting the Sea Vixen a Permit To Fly and operated the aircraft on behalf of its owners, Drilling Systems Ltd. In 2003 sponsorship came to XP924 from the drinks company Red Bull. From then until 2007, the aircraft was operated in Red Bull's livery as can be seen in the photograph below. 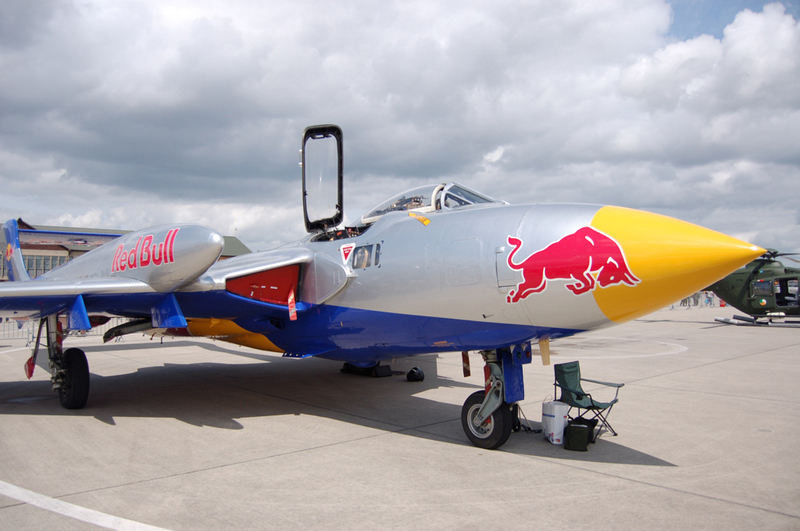 Once sponsorship ended XP924 reverted back to her 899 colours in which she flies today. Some bad luck came to XP924 in 2010 when de Havilland Aviation Ltd went bankrupt. Also her pilot Lt Cdr Matt Whitfield RN, suffered a stroke in August of that year (thankfully he has now recovered). This meant that XP924 sat out the 2010 show season, however, she was kept in running order. 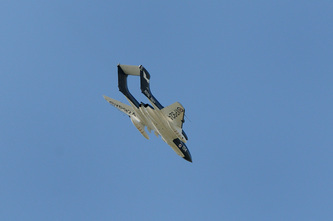 In 2011 the aircraft returned to the show season at that years Yeovilton Air Day. 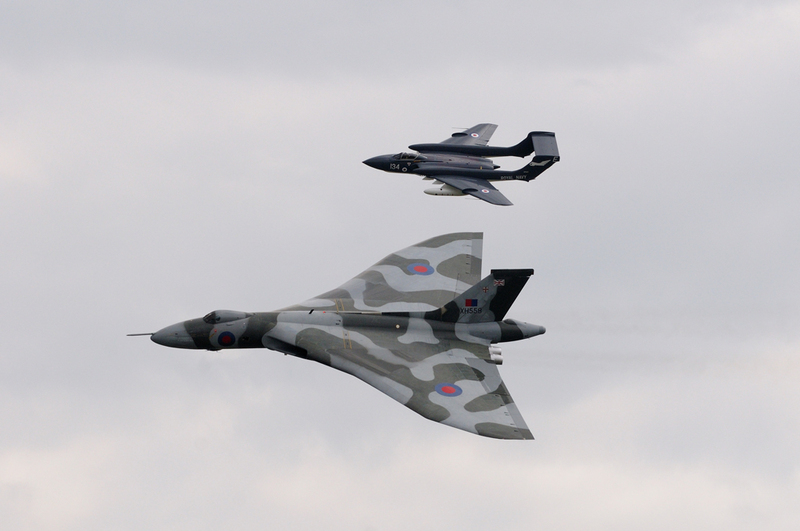 Here she flew in formation with Vulcan XH558, which is thought to be the only time such a pairing has occurred. On 5th April 2012, XP924 suffered a nose wheel collapse at Bournemouth which kept her off the airshow scene in that year. Repairs were carried out to XP924 during 2012 & 2013. 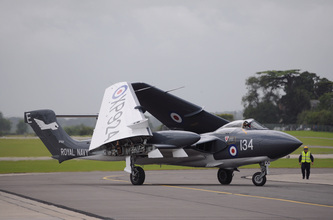 The aircraft was ready to return to the airshow circuit in time for Yeovilton Air Day on 13 July 2013. The Sea Vixen flew one flypast at the airshow and then landed for the static that afternoon. 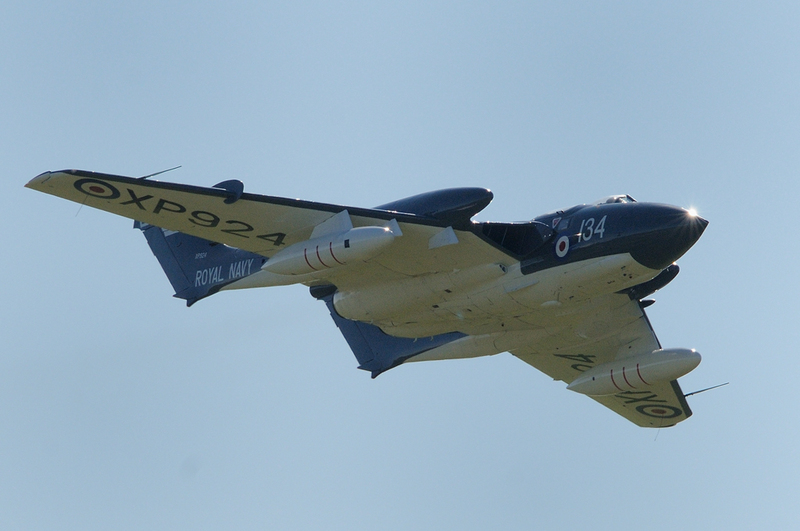 Since then XP924 has had her display routine cleared and it is hoped to see more of the aircraft at future air shows. On 16 September 2014 XP924 was gifted to the Fly Navy Heritage Trust (FNHT) at RNAS Yeovilton. The gifting took place on the condition that the aircraft continued to be maintained in an airworthy state and appear at airshows for as long as practically possible. Accompanying the Sea Vixen were 80 tonnes of spares as well as support equipment. This move has given the aircraft a more secure future with the FNHT recognising that much will need to be done with regards to fund raising and engineering skill to keep the aircraft in the air. 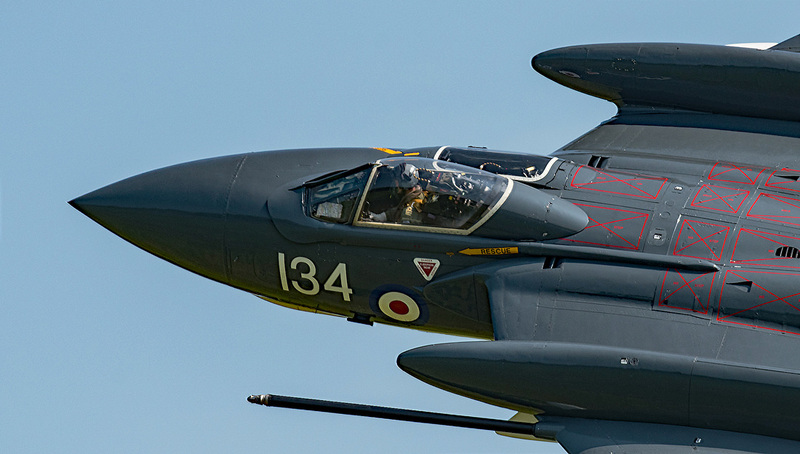 XP924 did fly during the 2015 season and as this is written has just appeared, at Shuttleworth's Navy Day held on 5 June 2016. The aircraft on this occasion was flown and continues to be flown by ex Sea Harrier pilot Simon Hargreaves. 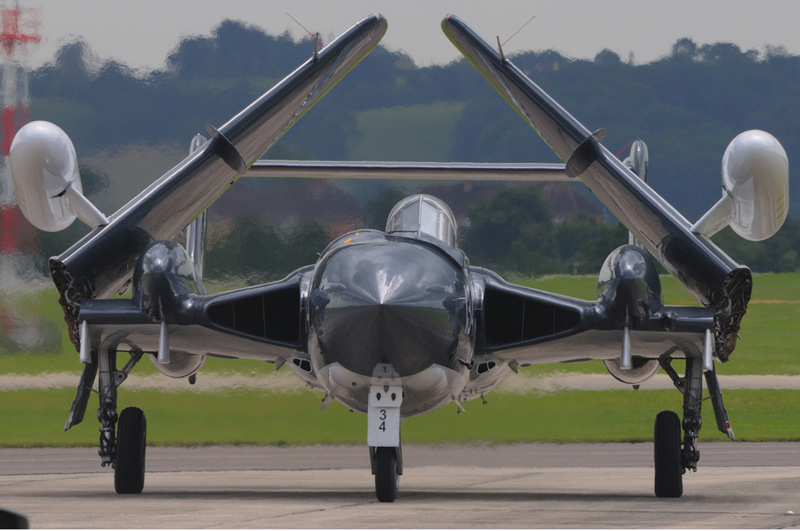 The Sea Vixen was again to be seen on the 2017 airshow calendar with a first appearance at the Duxford Airshow on 27 May 2017. 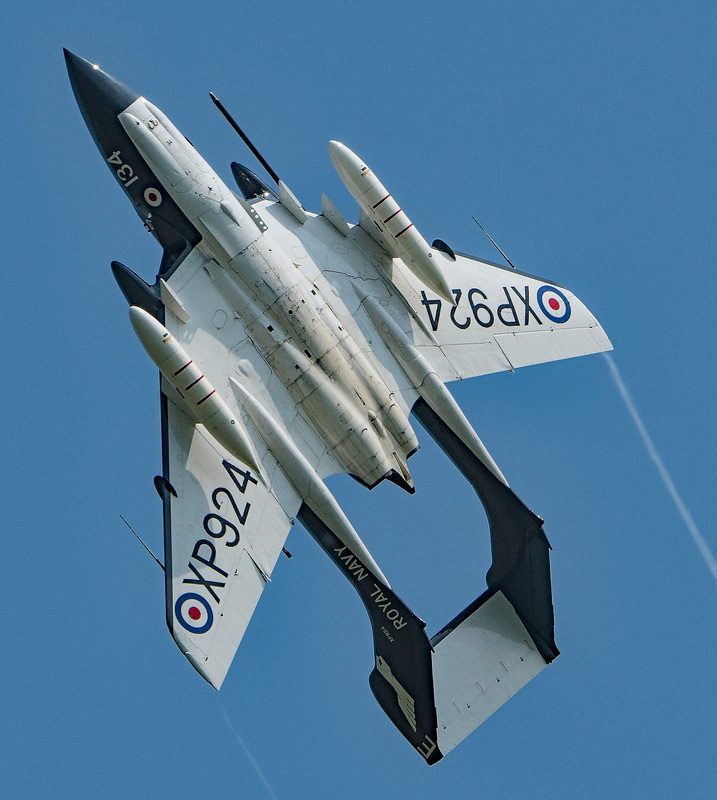 Following the display the aircraft returned to Yeovilton but suffered a major hydraulic failure, which necessitated a wheels up landing; thankfully undertaken with great skill by Simon Hargreaves. It remains to seen what damage has been caused to the airframe but hopefully we will once again see this iconic aircraft in the skies in the not too distant future.